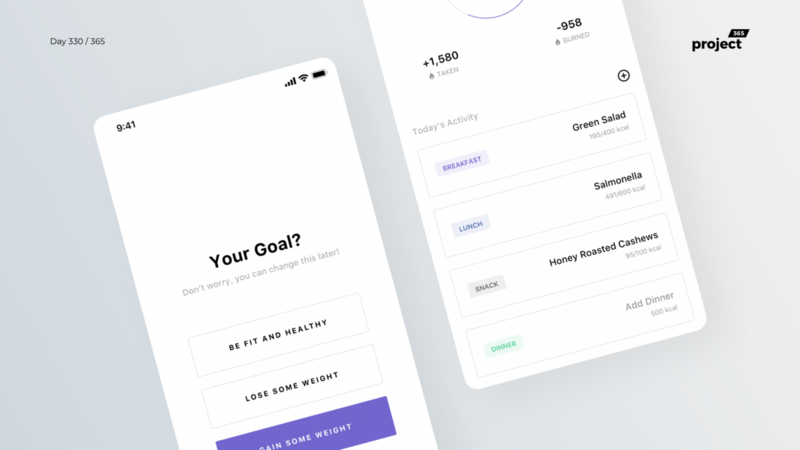 Brief: To design a minimal calorie tracker app for fitness. 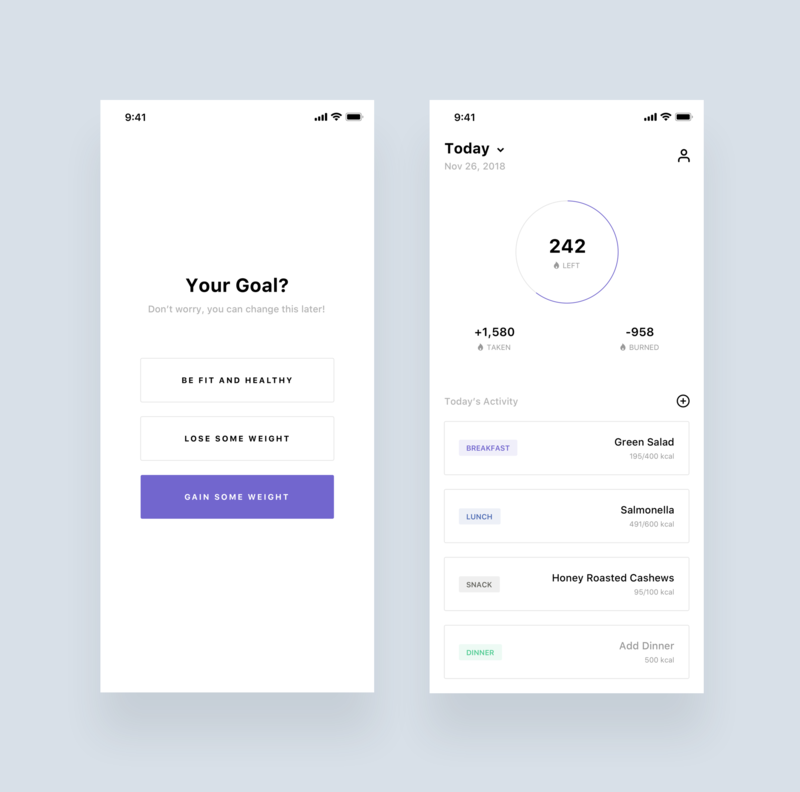 A very minimalistic calorie tracker app, guys. What do you think of this one?